Many of you commented on watching Robin Williams in the powerful clip Poets Society. This month we have an introduction to the House on the Right Bank, a classic MindStore tool and foundation of so many other techniques. To all the Movember participants, keep trimming! Thank you for making the time to read this, and I encourage you to look into our mental tools for improving your performance personally and for the people in your organisation. This Phrase ” House on the right bank” or (HORB) is a very familiar phrase to those who have attended MindStore events over the last 25 years. This is the place, in your imagination where you go to when ever you want and no one will know. Here you can visit this landscape and create your own house using your imagination with no limitations on size or finance. All of this is done in your head using your imagination, it does not matter whether your learning style is Visual, Audio or Kinesthetic, you learn to do this using our interactive tools and techniques. Secondly he said that “we can not solve our problems with the same level of thinking that created them”. * I have deliberately omitted an image of a house on a right bank of a river because everyones house is uniquely created by them, some do not see it but can feel its surfaces, all are unique and inspiring to the indivdual. 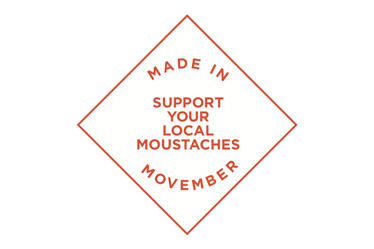 Its Movember time again. A time for change. Look out for signs of upper lip topiary in your workplace over the next few weeks! Seriously thought we support this campaign every year as it uses Innovative thinking to raise awareness of mens physical and mental health challenges in a fun and engaging way. Remember Albert Einstein and Salvador Dali were both Moustache fans and both highly creative and innovative! Imagine your organisation full of people with vision and energy who were passionate about your brand or service and making it the best it can be. Everyone will have seen the extraordinary fireworks display from Sydney Harbour with the theme of SHINE welcoming in the New Year in such an inspiring way. So how about making this your year to SHINE personally and professionally. How about making this the year for your business to SHINE. Take a few minutes and read on for some simple and effective tips to help you make it happen in 2014. Remember if you have still to make time and set goals, then take action and set yourself a deadline of Sunday evening. Have a Magnificent New Year! 2. Write your goals down. Only 4% of people do this, they are the achievers, be one of them. 3. THINK BIG! No one leaps out of bed in the morning for “realistic and achievable” goals. 4. Be less concerned about HOW you will achieve your goals – especially in the beginning. 5. Be absolutely clear on WHY you want to achieve your goals. A powerful emotional connection to your goals is vital. 7. Use the power of GESTALT working for you by repeatedly THINKING of and SEEING the outcome you desire. An idea firmly held in your conscious mind will receive the attention of your subconscious mind, which will then manifest in your life. Repetition is the key. to achieve in 2014 and beyond. We all have an amazing capacity to do be and have more. We just need to remember about the goals that inspire us, then set and follow your plan. If you would like some more details our MindStore Goal setting planner is available with our compliments. Simply email us your postal address to: enquires@mindstoreaustralia.com and we would be delighted to send one out to you. We know IT JUST WORKS! Live your life by your goals, not others. Can you hear this in your mind, can you see in your minds eye the Logo? do you remember Band Aid? If you think this year has gone quickly, remember that Band Aid was 1984 – 29 years ago! I find it hard to believe so much time has passed so quickly! This is WHY I believe so strongly that it is vital that we set Goals for ourselves using MindStores tools and techniques. Wishing you a Magical Christmas and a Magnificent New Year! Everywhere we look we are being bombarded with messages about Christmas and buying gifts for others. All of these messages are as a result of people in the marketing department of organisations having goals that this will be a bumper year for them. This is fantastic for them and we have to understand that if we act on their messages we are helping them achieve their goals. The point is this: What messages are we sending ourselves about our own personal and professional goals? Make time over the festive season to steal 30 minutes with yourself to be still and think about what went well in 2013 for you and write down what you would like to achieve in 2014 and beyond. Did you have an Outstanding October…. or has it gone in a blur? If the whole year feels like a blur and the goals you set have still to be achieved, then DON’T GIVE UP. Take inspiration from our video clips, motivation from the quotes and most importantly BELIEVE that YOU CAN DO IT. Have an inspiring day, week and month! P.S. Remember you can share these positive newsletter with colleagues, friends and family who you think would appreciate them. Following on from last months change and the great positive feedback. Here are some more short inspirational clips to share. Take some time out in your day over the next few weeks to watch these and be inspired to overcome whatever your challenges may be. The build up over the last few weeks for the Melbourne Cup has been constantly in our awareness. Today the race itself for many is just a hangover. It was over in the same time as it takes to watch any of our inspiring video clips. Imagine if we could generate as much excitement and anticipation for our personal and professional goals as has been created for the Melbourne Cup? Wouldn’t it be fantastic. The challenge for us all is that unless we focus on our own goals visualising them being achieved then we will unconsciously be drawn into helping other people achieve their own goals. By this I mean the sales and marketing departments of the retail stores, who sneek xmas into our awareness when we are in the stores and its only September!. Those who aim to entice us into buying during the end of the year one of sale. Then in January other companies tempt us to take a cruise in July. If you think about it, it’s a constant cycle of selling us their goals. If we are not careful our life could consist of solar powered festive lights and the odd cruise. Is that really good enough? No, absolutely not. We all have an amazing capacity to do be and have more. We just need to remember about the goals that inspire us, then set and follow our plan. otherwise we will just be spending our time helping others to achieve their goals. The messages we are being bombarded with might be that the festive season is just around the corner but infact there are still 7 full weeks or 49 days left till xmas day and 56 days till the last day of the year. There is plenty of opportunity to achieve your goals if you believe in them and yourself. Start today to work towards your remaining goals with motivation and more importantly MOMENTUM. Now is the time to re engage with your goals, to re imagine them achieved and create that desire to never give up and achieve them. Are you going to finish the year Strong? How many of us think that the best way to take time out and relax is to go on holiday? Why then do so many of us get so stressed out while on holiday?Then come back feeling that we need a holiday to get over the holiday and to catch up with the mountain of work on our return. This month we discuss Culture, specifically the Fijian Culture around Resilience, the use of Positive language and Thinking. If you were to take time to think about whats the biggest challenge in both your professional and personal life what would it be? The clue is in the question. For many people I speak with its the inability to take time. Time to think. There is much spoken, tweeted, and presented about Resilience and Postitivity. During a family trip last year to Fiji. I was shown amazing examples of living the above. If you have been yourself you wil know exactly what I mean. Our hotel transfer taxi arrived in “Fiji time”. When the driver felt it was the right time. And if you stay long enough you apparently tune in and will “just know” when it will arrive. Talk about intuitive thinking. Fijian people have an attitude and a pace which is thoughtful relaxed and peaceful. We arrive with our pre-planned excel spreadsheet schedule. Planned to maximise our vacation. Stressing on the first morning that the restaurant wasn’t open at 7 am for breakfast when it should be, which made us stress about missing the dive boat, which stressed us about being late to pick the boys us from kindy!!! What kind of holiday is this we think! However we soon adapt the Fijian attitude and rythmn. The next day we wait outside for the restaurant to open watching the turtles, the dive boat leaves when everyone is ready and the children had a great time and didnt want to leave. During our trip I became more of a human being, as opposed to a human doing. Making time to stop; to watch the sunset; being at peace; being present; being around for family. Thats Resilience. She had no insurance, no family to help her, and little government support. Fijian people talk, think and act positively, naturally without attending training courses or seminars. It is part of their culture handed down from generation to generation. 1. The point is that we don’t need to go overseas on holiday to see a sunset. The sun sets at home over the trees, hills or buildings (every evening). 2. Challenge yourself to take the time out, once this week, to sit for 10 minutes and watch the sun disappear and the clouds change colours. 3. When doing this think about your day, think about how you are going to spend your evening. Then go into your evening refreshed from that 10 minute time out. 4. Next time you are aware of saying something negative about the weather or more importantly your family or work collegues. Think of the Fijians and use a positive alternative. It takes practise, and will make all the difference in your communication with people. Everyone needs time to review, to reassess and to reflect. Make time to think. You will see the benefits including better clarity in thinking and decision making. Practise accessing your thinking for improved quality time to recharge, to review your day, to see that you did the best you could, to reassess your next day and reflect on how you could think, listen and act with greater clarity to achieve more. So in the spirit of Fiji, I am relaxed that Septembers newsletter is just going out in the middle of the month and not the 1st business day. Does it matter? Vinaka for taking time to read this and keep smiling. A common complaint from groups we work with. Book of the month is “Anyone can do it” by Duncan Bannatyne of Dragons Den. A great reminder that we can. If we have Determination, Desire, and Belief in ourselves. We received many positive comments for the Attention sign to print in your office last month. Following on from that and intertwined with our book of the month I wanted to share a few thoughts on Desire. So how do we develop Desire? As Napoleon Hill said “there is a difference between wishing for a thing and being ready to recieve it. No one is ready for a thing until he believes he can acquire it. The state of mind must be belief, not mere hope or wish. Open mindedness is essential for belief. Closed minds do not inspire faith, courage or belief. Challenge yourself to sit in your bedroom (or another private quiet area) and close your eyes, focus on your breathing, concentrate on breathing and resist the tendency for your mind to “wander”.Manage your thinking. Begin to imagine what your goals or future achievements will look and feel like. Then practise developing the burning desire and belief in yourself that you will succeed, you will show determination and keep going forward to create the future you desire. We know that extraordinary people like Andrew Carnegie and Thomas Edison did a certain amount of “Dreaming” or “Desiring” before they were successfull and were Determind to achieve what they believed in. Best known in Australia for the Dragons Den series. This book is both a personal development story and business book combined. I made the time to read it cover to cover in 2 days which people who know me will say is remarkably quick. A fascinating book with many nuggets of information in it. Welcome to our delayed July Newsletter. Last month was about taking TIME OUT. This month we focus on our Attitude and deciding to make it a positve one. Trust you wil take 5 minutes TIME OUT to read this and THINK about how you can decide to be more positive in your thoughts, language and actions. Here is a great sign you could print off and stick in a prominent place of your office area. Over the last month Attitude has been a recurring theme in the Conference sessions, Professional Training workshops and in house programs with Clients I have facilitated. WHY is Attitude so important? often gets asked. Well you only have to look at what happened on this month in History to see a few illuminating examples. With Nelsons ill health and recent birthday we are all aware of what he has achieved in his lifetime as a civil rights activist and world leader. Did you know he shares the honour receiving a Nobel prize award with the developer of the IVF treatment Robert G Edwards. Robert’s was a Nobel prize for Physiology in 2010 and Nelson was jointly awarded in 1993 the Nobel prize for Peace with F.W. de Klerk. So how does that relate to Attitude. Well think about Nelson locked away for 27 years yet had the belief and positive attitude that he could see a better future for South Africa. He worked with those who imprisoned him to dismantle apartheid. How many of us are challenged to remain positive in our attiude on a normal busy day at the office, let alone the thought of being imprisioned for 27 years? Similarily the belief and attitude of the developer of the IVF treatment who kept thinking of a way to assist couples who wanted children. He did not give up like many of us might when faced with challenges he had the positive belief and attitude that he would develop a solution. Finally the moon landing. 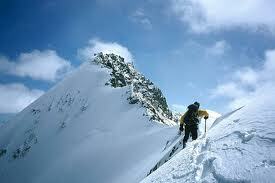 Imagine the challenges they faced, truely going “into the unknown” in both envronment and equipment required. The Positve Attiude shown by the Apollo 11 crew as well as all the support team at NASA was fantastic. They believed they WOULD get there, not IF, but WHEN. We could benefit from having such an unshakeable positive attitude in our dealings with collegues and the inevitable challenges we face both professionally and personally. A positive attitude will assist you to reach for the stars! Many of you will remember that last month was about great quotes to inspire Innovation. This months thought is about being Mindful in May. In a short example consider making time to think about your appointments Calendar and maybe blocking out some time to THINK. Sounds radical I hear you say! Welcome also to everyone from the Miners Health and Wellbeing Conference who have joined our Newsletter this month. Finally I trust you are all going to motivate yourselves to make time to have a Magnificent May! As you can imagine, your not alone. Often when working with clients a common issue people raise is their work Calendar. Meeting after meeting seems inevitable. As this is May how about thinking about being more Mindful of your Calendar. Dare yourself to say NO to a meeting request, and use that time for reflection on current challenges with space to THINK. Also challenge yourself to think about each appointment before accepting it. Is it carved in stone, who set it for you? How many do we attend even when others in our team attend? Do we attend because in our organisations culture, everyone needs to know everything? Do we believe that if someone thinks we are needed in a meeting, we cannot turn it down, we are leaders so we must be required? Why not open your calendar, take a deep breath and pause for a moment, do you feel your chest, neck or stomach tighten just by looking at the volume of appointments. What is that telling us, if we listen? Is it good for us? Is this the best use of our time? Are we effective leaders if we allow ourselves to be in 8 meetings a day 5 days a week. Where do we have space to lead, to think differently, to innovate. How different would your week be if you questioned the volume of meetings, delegated more, intentionally left spaces in your week for connecting with colleagues and reports face to face. What do you feel the impact would be if you made space in your day to ask if there was better ways to do things, more productively, more socially responsible, more profitably? Several people asked about MindMaps after last months Newsletter. So here is an easy to read book by the inventor of Mindmaps. Full of great examples and easy ways to develop this great tool yourself. 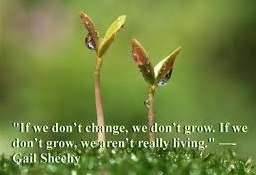 Change is the Law of life…. Last month was about thinking BIG and creating a better future. We also had great feedback last month on our book of the month for kids based on Stephen Coveys 7 habits. It is always great to get your feedback. Thanks for making time to read this. We always endeavour to make it motivational and give you some food for thought. Trust you are going to be inspired to create an Awesome April for yourself. I trust you can find a quote about change and the future which sparks your passion and you decide to make some changes in your professional and personal life so you to can “make a ding in the universe”! “I like the dreams of the future better than the history of the past.” Thomas Jefferson. “Ordinary people believe only in the possible. Extraordinary people visualise not what is possible or impossible, but rather what is impossible. and by visualising the impossible, they begin to see it as possible.” Cherie Carter-Scott. “Change will not come if we wait for some other person or some other time. We are the one’s we have been waitng for. We are the change that we seek.” Barack Obama. “If you change the way you look at things, the things you look at change.” Wayne Dyer. “To keep the body in good health is a duty… otherwise we shall not be able to keep our mind strong and clear.” Buddha. If you are going to the conference let me know it would be fantastic to catch up with you. Many of you will know lots about Steve Jobs already. This book covers the known stories but also some new ones like Dysons 5123 failures and why Steve trusted his instinct to take a Calligraphy class not knowing why he was being guided to it. The overriding message is that the secret of success is to follow your passion and do what you love. Available as an audio book which I found fantastic for listening to when driving and inspiring me rather than listening to the negativity of the news reports. Last month was about learning to dance in the rain, and there has certainly been lots of rain for us to practise in! This month we look at a Scotsman who dared to think BIG. Plus we have a book for any children in your life to guide them in their life. Anyone guess the relevance of the title above? They are the first words spoken and received by telephone. Why is that relevant this month? 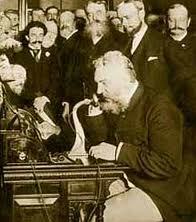 Well, Alexander Graham Bell the Scottish Inventor was born this month back in 1847. Also it was on 10th March 1876 that he got his invention “talking with electricity” to work. •to have a positive mental attitude towards achieving his goals. The significance of his invention is that for the 30 years prior to his invention people had been using the telegraph, which was a far quicker method of communicating than by letter and post. But Bell thought BIG, he thought there was a quicker, faster way to communicate and he set his mind to inventing it. You see he avoided seting a small goal within his comfort zone, he set a HUGE goal that many laughed at as being crazy and unachievable. But we know its the crazy ones who change the world. 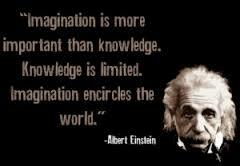 Think Einstein, Jobs, Ghandi, Mandella…. 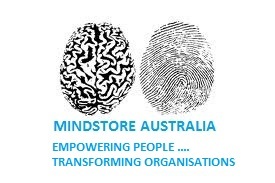 At Mindstore we specialise in sharing with people simple tools to enable everyone to access these same qualities. Those that empower us to improve our performance from ordinary to extraordinary. Thanks for making time out to read this. We always endeavour to make it motivational and give you some food for thought. Trust you are having a Marvellous March.